Highest Quality Garage Floor Coatings Ohio Garage Interiors Specialty! Locally owned and operated in Northeast Ohio, Ohio Garage Interiors offers the highest quality garage floor coatings, garage cabinetry, and garage organization solutions. Ohio Garage Interiors helps you find peace of mind so you can focus on what’s really important. 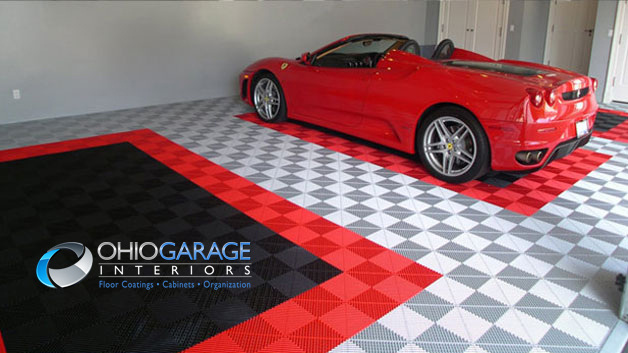 Ohio Garage Interiors helps you create the garage floor of your dreams because they realize that high-traffic spaces demand high performance coatings. Each Ohio Garage Interiors garage floor coating is a high quality, stain-resistant, easy to maintain surface. And with hundreds of various flake and solid color combinations, you now have the opportunity to customize your garage to fit the style of your home. At ADVAN / Avanaire Design, we’ve create an entire web design package that results in increased new and returning customers and customer satisfaction. The key to this project is giving the customers exactly what they need, garage floor coating information and stunning visuals. We’ve left no stone unturned when it comes to the SEO of the Ohio Garage Interiors site. From blog entries to on-page SEO, this site has it all. And with our continued SEO efforts, our goal is nothing short of the highest SEO rankings.